Hidden cameras watching me in the dressing room? In my Air BnB? In the office? ... Well, I figured they're watching me in the office. Listen, I'm not trying to SpyFinder Pro up any paranoia here, but the hidden camera detector's creators do have a valid point in pointing out that A/V surveillance devices can be as small as...a pinpoint...these days. Case in point. 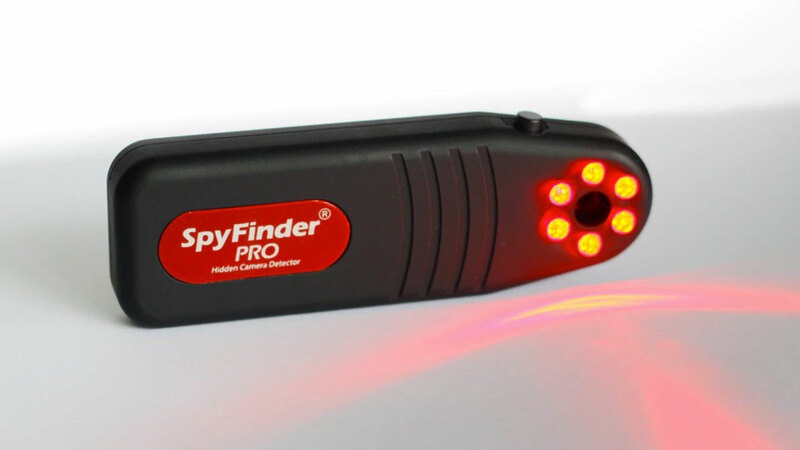 The SpyFinder Pro is a handheld, battery-powered unit that uses ultra-bright LEDs to help you perform a little countersurveillance anywhere you go. 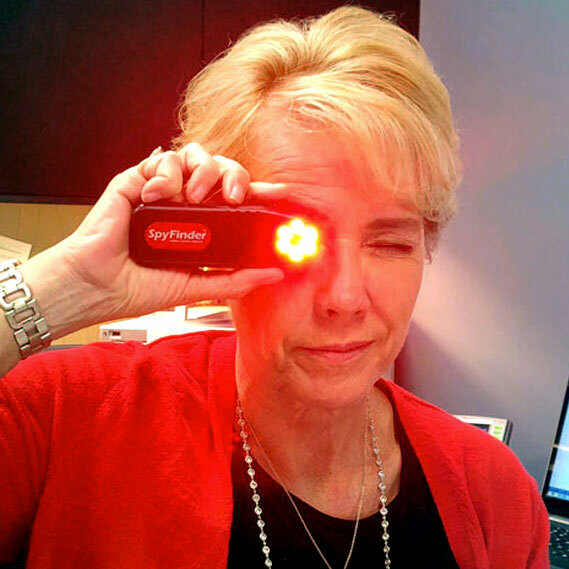 With a push-button operation, you can turn on the SpyFinder Pro, plus vary its intensity level, and then hold the end up to your eye to scan the room for hidden cameras. When the device locates one, it will appear as a flickering bright spot of light. 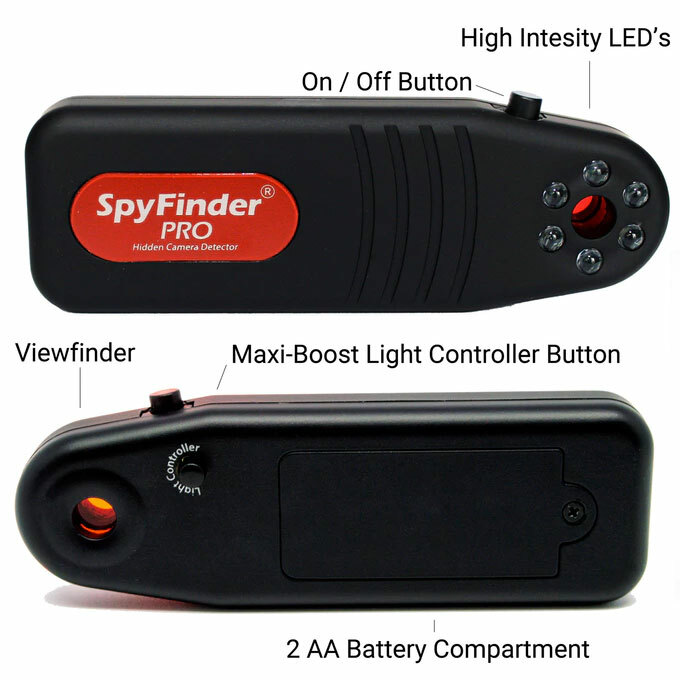 According to Spy Associates, the SpyFinder Pro can find any size and type of hidden camera, wired, wireless, and CCD / CMOS / CCTV, whether it is on or off, transmitting or not. To further help you spy with your little eye, the device has 3 LED intensity modes for additional control and homing in on the area you're sweeping. Use the high setting for larger rooms, and the low setting for smaller areas, such as bathrooms and dressing rooms, as well as places with shiny, reflective surfaces like plastic and glass. If you're interested in combatting peeping Toms, nosy bosses, and significant others who maybe have a reason to be spying on your, but still...you can pledge for a SpyFinder Pro on Kickstarter through November 24, 2018.